What is collar interlining and how about the function? 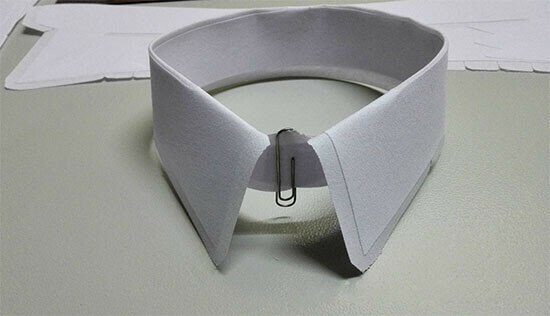 Collar interlining refers to a kind of adhesive lining used on the collar of a garment. It is also divided into shirt collar lining and suit collar interfacing, etc. The linings are usually made of T/C and pure cotton linings (also known as cotton linings) , which usually have HDPE, LDPE, PA and EVA coating. The processing technology of collar lining is mainly used scattering powder coating, and the coating is divided into point glue and plain glue. Point glue has convex concave and strong grain feeling with hand touching. The plain glue are smooth and reflective to the light. The softness of the same collar product can be adjusted by the resin. Cotton woven fusible interfacing is coated with high temperature permanent adhesive powder, which is special for high-grade shirt collar and not blister after water wash. There are three kinds of hand feeling for choice which can match more requirements. Because the clothing fabric has the heat shrinkable property, we must pay attention to the fabric shrinkage in the selection of the collar interfacing, should choose the thickness and shrinkage rate similar to the fusible interlining, otherwise, there will be blistering and drop phenomenon.